According to the report, Lehman had been unhealthy for a while and covered it up by secretly shuffling bad debt around to make its books look more attractive to investors, regulators and credit rating agencies. In a practice known within Lehman as Repo 105, bad assets were loaned to other firms at the end of the quarter in exchange for short-term financing. The temporary absence of the bad debt gave the illusion of a much healthier balance sheet. 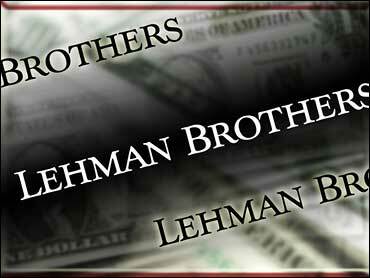 But Lehman would quickly reclaim the assets, usually within days. The report indicates that Lehman hid $39 billion at the end of the fourth quarter of 2007, $49 billion in the first quarter of 2008 and $50 billion in the second quarter of that year. The report claims that senior executives in Lehman, along with the firm's accountants at Ernst & Young, were aware of the moves. It also claims former CEO Richard S. Fulds certified the accounts, characterizing his involvement as "at least grossly negligent." Fulds' attorney, Patricia Hynes, told the New York Times via e-mail that the former chief executive "did not know what those transactions were -- he didn't structure or negotiate them, nor was he aware of their accounting treatment." A spokesman for Ernst & Young told the Times that the firm's last audit of Lehman came at in November 2007 and the financial statements "were fairly presented in accordance with Generally Accepted Accounting Principles (GAAP)." The report indicates that some executives in Lehman either had misgivings about the aggressive use of repurchases or acknowledged them as misleading. Executive A: "It's basically window-dressing." Executive B: "I see ... so it's legally do-able but doesn't look good when we actually do it? Does the rest of the street do it? Also is that why we have so much BS [balance sheet] to Rates Europe?" Executive C: "Yes, No and yes. :)"
The report was put together by Anton R. Valukas, a former federal prosecutor and current chairman of the law firm Jenner & Block, who is serving as an examiner for the bank. Though it offers no opinion on whether Lehman's actions were criminal, the report does say there is evidence for possible civil lawsuits.